1. A pair of cozy socks inspired by Glacier National Park. Get them from Pendleton for $12.50. 2. A set of four vintage-inspired posters of the parks' iconic scenery. Get them from Amazon for $110. 3. A gorgeous calendar that'll keep them thinking about the parks every day for a whole year. It might even encourage them to plan a national park trip for every month. Get it from Luck and Luck on Etsy for $14.49. 4. A map of the parks that'll let them check off each one as they go. All of the parks are on there, and they can stick a thumbtack or note on each one as they visit them, or they can just frame it and stare at all the places they want to go. Get it from ConsiderGraphics on Etsy for $20. 5. A old-school inspired keychain that commemorates the very first national park. Get it from TrailblazeDesigns on Etsy for $5.99. 6. A classic book by naturalist John Muir — updated with gorgeous modern cover art. Get it from Amazon for $3.99+. 7. A national park-themed Monopoly board. 8. 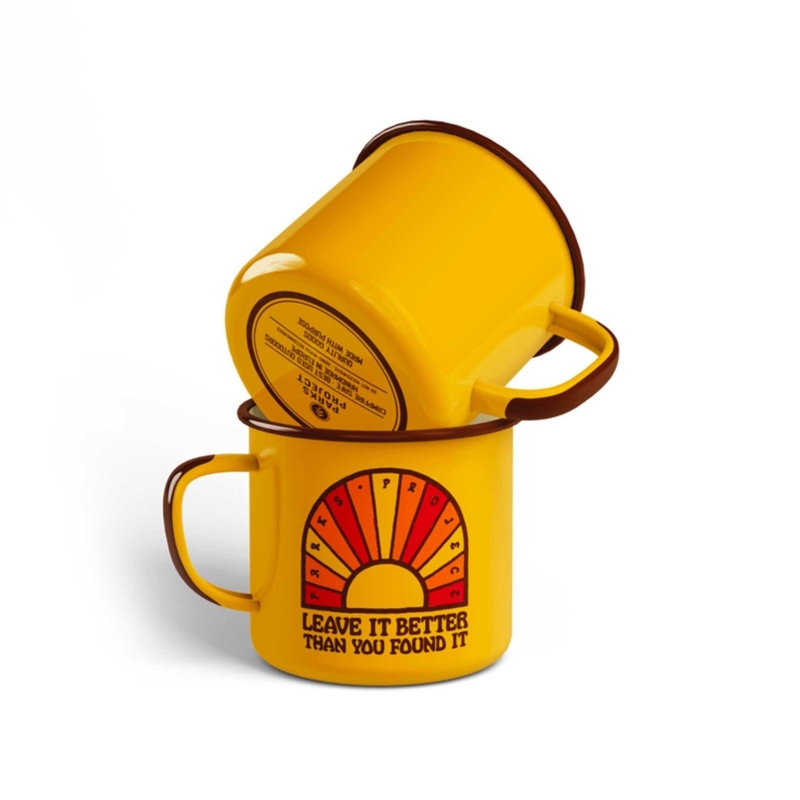 A classic enamel camp mug they'll be thrilled to wake up to in the morning. It'll be great for camping trips, too! Get it from Parks Project for $20. 9. A knit beanie they can wear with pride inside and outside the parks. Because sometimes, it's too hard to choose your favorite one. 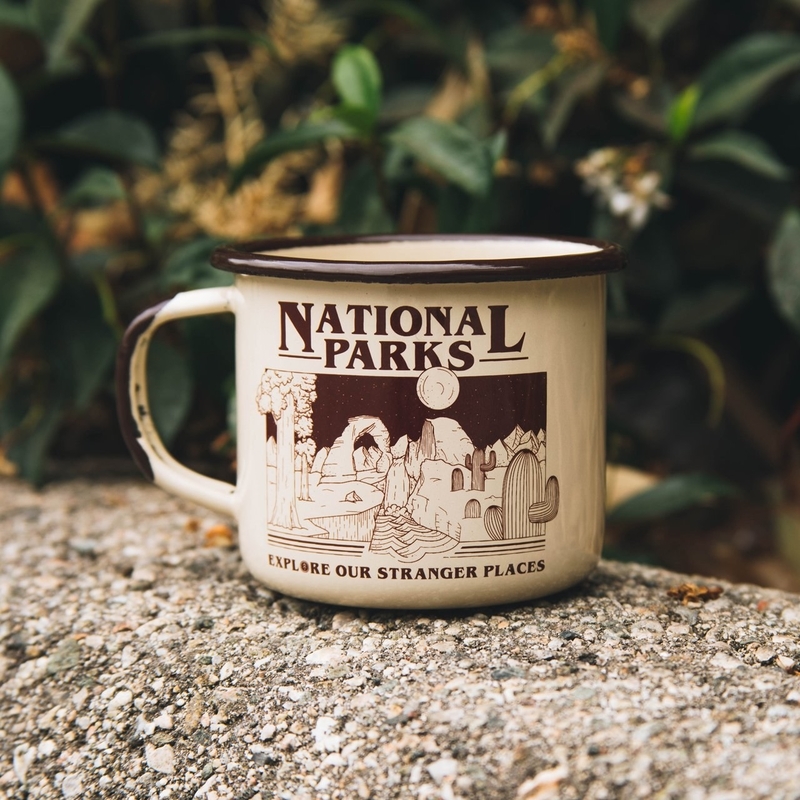 Get it from Parks Project for $26. 10. A pretty candle filled with the scent of your favorite park. The soy candles are infused with the scents inspired by some of the dreamiest parks, like Big Bend, Acadia, and Denali. Get it from Good & Well Supply Company for $24. 11. An enamel pin of a redwood that's un-tree-lievably cute. If they can't be hiking around among the majestic redwoods in Redwood National Park, they might as well be able to see one as a pin. Get it from meddle media on Etsy for $11. 12. A puzzle depicting the beautiful scenery in Yosemite National Park. 13. 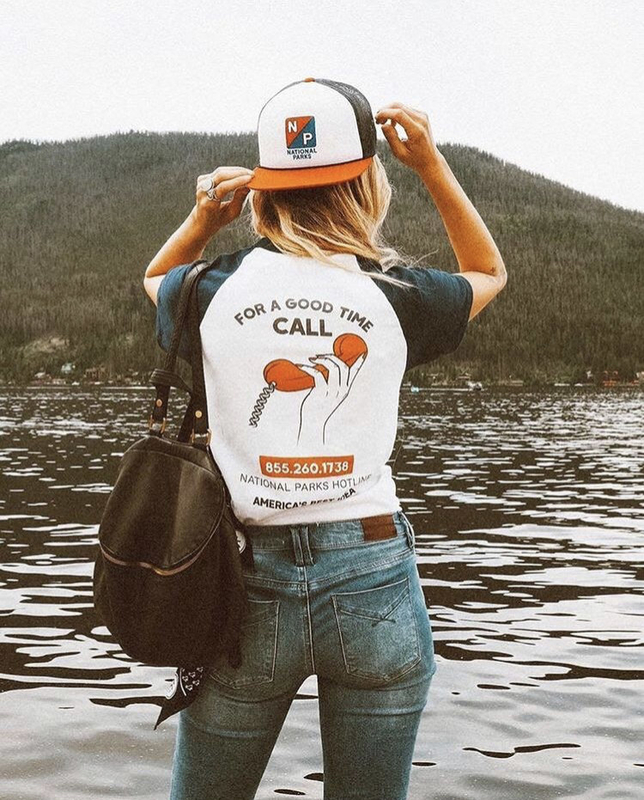 A hip ringer tee that's really got their number. Even though they know that for a good time, they should just...go to a park. Get it from Parks Project for $38. 14. A pennant that's an aesthetically pleasing reminder of the purpose of the parks. Get it from Parks Project for $36. 15. A truly grand T-shirt with an equally grand message. 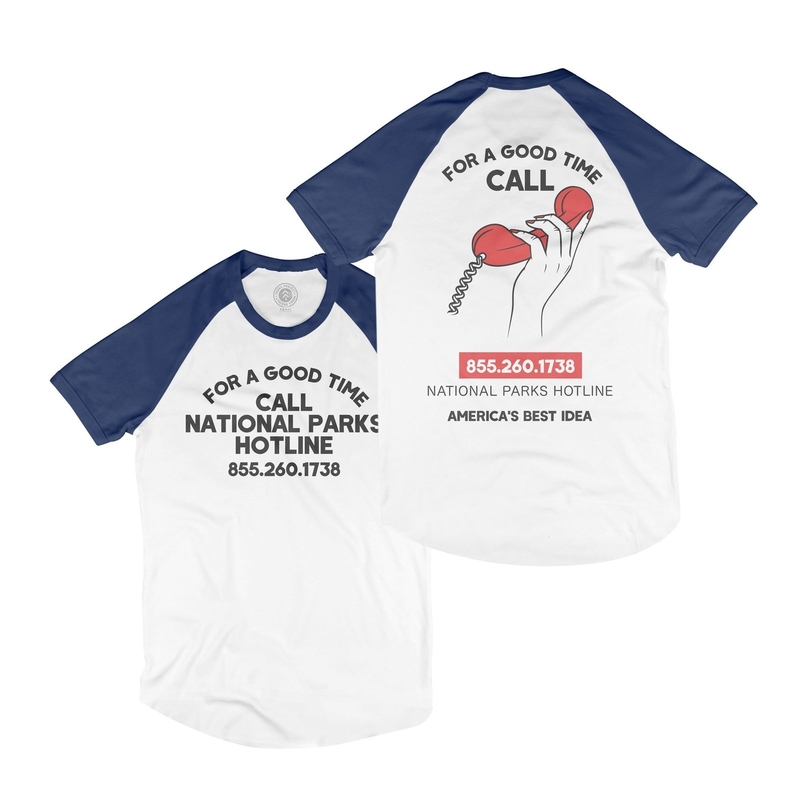 Plus, every shirt sold helps the company fund and host local wilderness cleanups! Get it from Keep Nature Wild for $27. 16. A trivia game they can easily take along on a camping trip. 17. And an annual National Parks pass that they can use to their heart's desire. It covers park entry for them, as well as three people 16 or older, for a full dang year. Get it from the USGS for $80.